In 2018, it is more important than ever for your brand or small business to have a solid presence on social media. Chances are pretty good your company already has a couple profiles. Are you making the most of the opportunities social media is giving you? Do you realize just how important social media is for businesses today? According to Ambassador, over 70% of customers are likely to recommend brands and companies they’ve had positive experiences with on social networks. Are you providing good experiences and engaging with your customer base on Twitter or Facebook? With statistics like this, it’s easy to see why getting more pro-active in social media should be getting bumped up priority lists. On the other end of things, nearly 80% of people that take to Twitter to complain to brands expect a reply within an hour (Lithium). With all this in mind, it’s more important than ever that your company not only has a presence but is staying active. So, what can you start doing today to improve your small business social media presence? You’re presenting your business on these social channels, always be presenting your best self. Beyond this, open up and don’t be afraid to take some chances. Look at companies and brands you follow or enjoy. How much of your Twitter or Facebook feed is cut and dry statistics, vanilla sales copy or other boring content? You’re actually likely following brands and people you enjoy. When it comes to businesses full of personality on social media, look no further than Black Rifle Coffee Company. This small business is entirely owned and operated by veterans, and they sell high-quality coffee. Spend any amount of time with any of BRCC’s content, and you instantly understand what they’re all about. Agree with them or not, they’re building an incredibly strong customer base between their product and their social media efforts. Once you manage to finally cultivate a bit of a following for your business, don’t stop there. You need to keep working on the relationships that are being developed there. When people have questions, answer them as thoroughly and quickly as possible. We have statistics above showing why this should be a top priority for your social media team. If you have customers asking questions that aren’t getting answered, anyone visiting your page is going to see that. 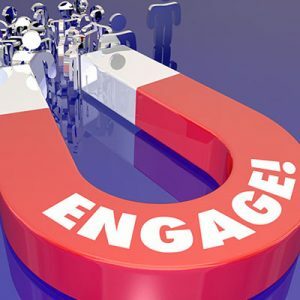 Your engagement in social media can very easily have a very direct impact on your business. People are online all the time, and social media use is almost a reflex. Make sure you are always making an effort to keep in touch with your following. Stay regular with your social networks and update with new content consistently. This can be one of the hardest parts of running a top-notch social media campaign. Don’t let yourself burn out. Once you find the topics and posts that get your audience excited, keep it up! When you consistently develop killer content your followers enjoy, your audience will grow. Interaction and engagement are the secret sauce for crazy growth. When your content gets responded to and shared your companies visibility gets that much greater. Consistently creating awesome content and getting it out there is a great way to start growing a huge potential customer base. Automation is the smart way to stay consistent, so it only makes sense to follow on this list. Instead of building out a bunch of content and slinging it out in one day: automate and spread it out. There are tons of great free and paid services that make it super easy to automate the lion’s share of your social networking efforts. Tools like Hootsuite make it incredibly easy to make a calendar loaded with content and execute it precisely. If you can manage to build the content and schedule it’s release; this affords you more time to go through your responses and spend your time engaging your audience directly. Another level of social media automation for your small business can be utilized by your company’s blog. Whenever a new article drops, get that out on the social networks! Again, there are a host of programs making it dead simple to automatically post blogs to networks like Twitter and Facebook. Getting your blog posts a little more traffic via social shares is only one advantage. Shared blog posts are more likely to get comments, increasing the legitimacy of your blog and website. All of this can even end up having a positive effect on your site’s rankings! If you just read the last section, this might sound like it’s going to be a little repetitive. We’re not talking about sharing content on your wall. If you’re unaware, Facebook has incredibly robust business and advertising solutions. One way to take advantage of these tools is with some of your best content. If you have a conclusive and stellar piece of content on a specific subject, and you want readers, you can pay to promote it across Facebook. Keep in mind; Facebook is one of the giants when it comes to scraping lots and lots of information off of users. Advertising and promoting content on Facebook means you’ll have the best chance of being able to get not just a bunch of traffic, but the eyes of readers and consumers that want what you’re providing. With Facebook’s business tools, you have a powerful way to target exactly who you want. This is far from a billboard strategy or cold calling. You have the ability to sculpt content for specific audiences you will actually reach. 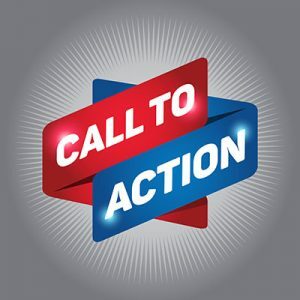 In case you’re new to marketing, a CTA is a Call-to-Action. CTA’s can take many different forms, and companies have been trying to develop perfect ones for decades. To put it simply, a call-to-action attempts to get a viewer to do something. This can be signing up for a free trial, getting on an email list, following a link to a blog post or anything like that. When you start to put some of these tips into practice, you will start to see an audience grow. Having an audience allows you to start trying new things. For example, let’s say you want to get as many people signed up for a free trial of a product as possible. Let’s also say you’re going to be attempting this through Facebook or Twitter. With a larger audience, you are afforded the opportunity to test drive different approaches, measure the results and adjust accordingly. Proper repetition of this process will eventually chisel out high converting strategies. We’ve talked quite a bit about Twitter and Facebook. But guess what? YouTube is the #2 social network with 1.5 billion users. The way we consume media is changing and YouTube is on the forefront with fast video delivery and sharing all over the world. Beyond this, YouTube is the second most popular website in the world. Why not get your business on there? Take a while to think about it, what kind of video would fit for your business? You don’t need to worry about special effects and a world-class editing bay. If your business provides a service, make a quick video explaining what it is or how it works. Seventy percent of marketers feel that making videos converts to purchases. Getting a couple quality videos on YouTube can quickly pay for themselves. To bring things to a close, don’t give up. Every marketer out there wishes a few weeks of hard work across the social networks is all it takes. The truth is, it never really stops. Develop posting and engagement schedules and stick to them. Keep developing better and better content and keep reaching out to your audience. Getting increased brand exposure for your small business through social media is a long-term goal. You probably won’t see crazy, life-changing results overnight. But, all the effort you put in will pay itself off over time, and you’ll score a loyal customer following to boot.